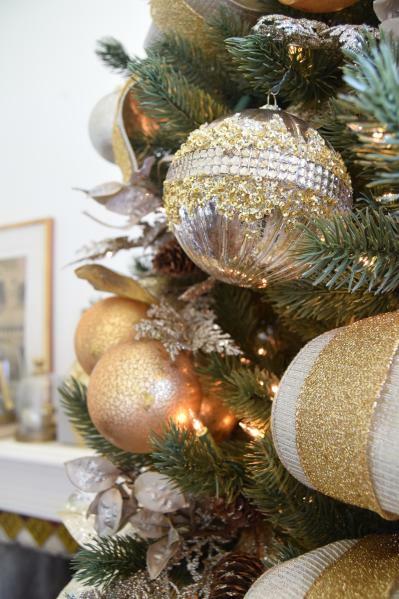 In this post, learn how to get the look of timeless elegance for your Christmas tree. Watch the video as acclaimed floral artist Brad Schmidt uses his signature techniques to create the stunning holiday design using Balsam Hill’s shimmering silver and gold decorations. 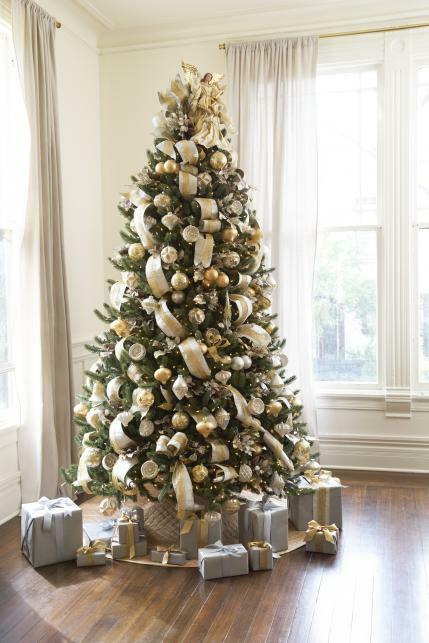 For Balsam Hill’s Vermont White Spruce Tree, Brad used his distinctive technique of decorating from the top of the tree to the bottom. 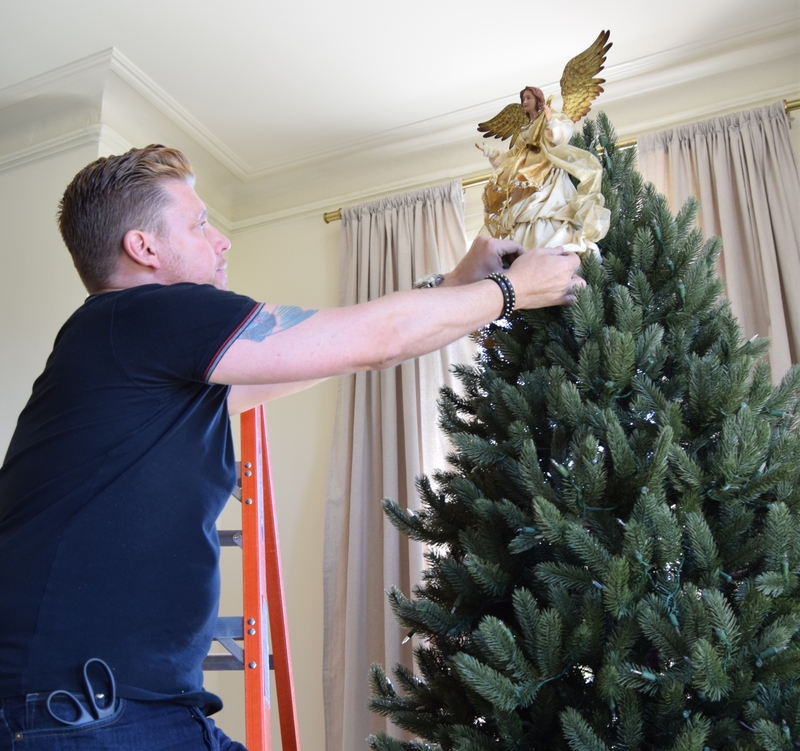 Instead of placing the Gold Angel Tree Topper at the peak of the tree, Brad positioned it towards the front by spreading the needles apart, creating a hollow to nestle the angel. Next, he secured the tree topper around the waist with a ribbon, with the ends curling down at the sides and the back for a billowing effect. This unconventional style achieves several things at once: it preserves the tree’s silhouette, keeps the topper from adding too much height if your home has low ceilings, and provides more stability. The Silver and Gold Glass Ornament Set is a gorgeous collection of metallic pieces in various shapes and sizes. 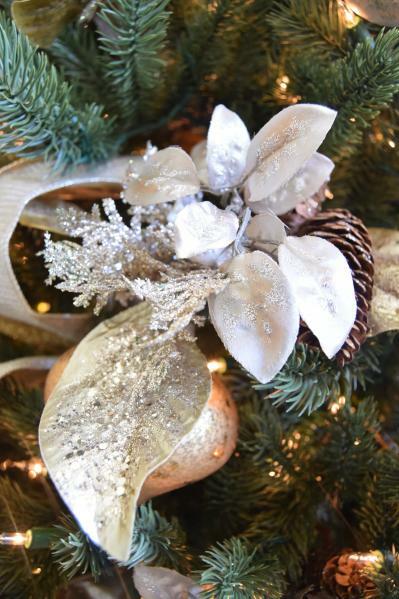 When using an ornament set like this, Brad recommends creating clusters of three ornaments. It gives smaller décor items greater impact and adds visual appeal to the whole look. You can put together the same ornaments, or even those with different hues and textures, for contrast. 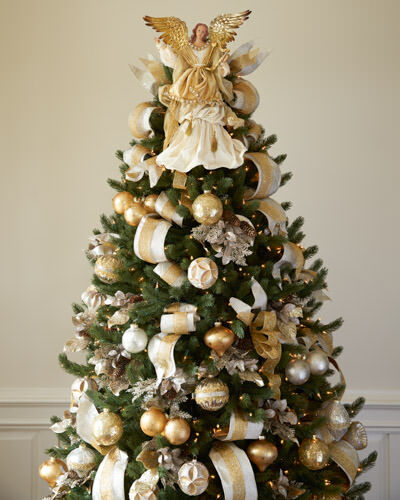 Gold bouquet picks were used to embellish the tree as well. 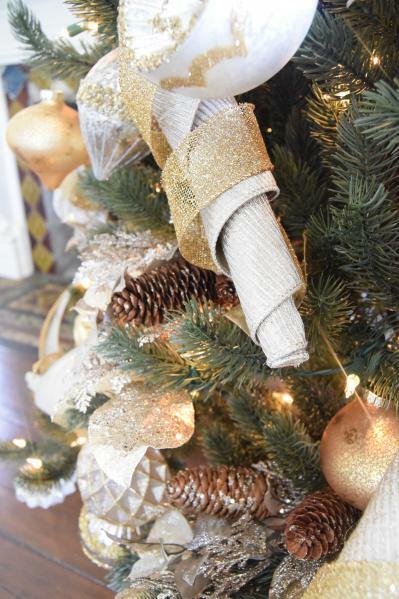 The copper-gold finish ties in well with the silver and gold theme. The pinecones add warm brown tones and a rustic feel to balance out the metallic hues. For the ribbon accents, Brad layered the Platinum Pleated Lame Ribbon and the Gold Fine Mesh Glitter Ribbon together to create a striking contrast of textures. The ends were anchored to the inside of the tree, allowing him to produce a cascading effect. Brad created a croissant roll at the end of the ribbon, giving the ribbon a finished look without having to cut the beautiful material. To achieve this effect, simply roll the ribbon a few times, and then pull out the center so that it spirals down. 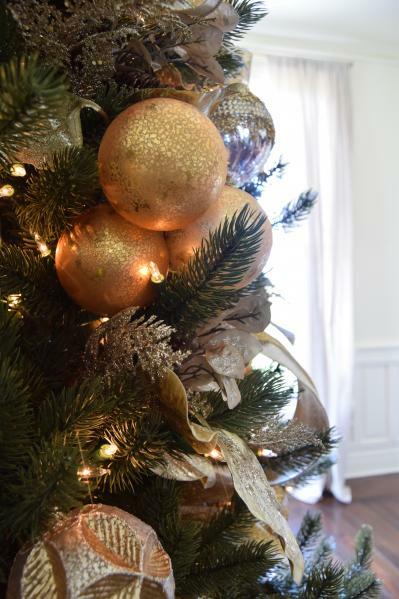 The completed holiday centerpiece is a picture of understated elegance fit for your home. Watch another design video by Brad here as he creates the colorful and sophisticated Napa Jewel Christmas Tree. For more decorating theme ideas and inspiration, make sure to visit Balsam Hill.